When Seattle yoga teacher Kate Davidson agrees to teach doga (yoga for dogs) at a fundraiser for a local animal shelter, she believes the only damage will be to her reputation. 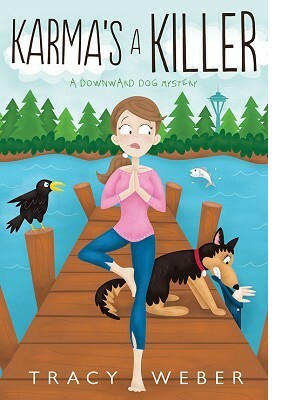 But a few downward-facing dogs are the least of Kate’s problems when an animal rights protest at the event leads to a suspicious fire and a drowning. The police arrest Dharma, a woman claiming to be Kate’s estranged mother, and charge her with murder. To prove Dharma’s innocence, Kate, her boyfriend Michael, and her German shepherd sidekick Bella dive deeply into the worlds of animal activism and organizational politics. As they investigate the dangerous obsessions that drive these groups, Kate and her sleuthing team discover that when it comes to murder, there’s no place like hOMe.